Welcome to Côte d'Ivoire Export Directory. The country is at the top of the list of the largest producers and exporters of cocoa, coffee, palm oil and tropical woods. Today, Côte d'Ivoire coffee farmers are boosting their agricultural practices as the demand for Nescafé coffee grows around the world. About 5,500 cups of the soluble coffee brand by Nestlé are consumed every second across the globe. Another area that contributes to successful Ivory Coast exports and Ivory Coast imports is fishing. Every year, about 100,000 tons of tuna is processed in the country, almost the entire production being exported to the countries of European Union, including Spain, Netherlands, Italy, France, the UK, Germany, Irealnd and other countries. Cote d’Ivoire is the world’s largest producer of cocoa (30 percent of global production). The country also exports crude oil, coffee, palm oil, timber, cotton, fish and gold. Cote d’Ivoire’s main export partners are France, Netherlands, Nigeria, United States, India and Germany. 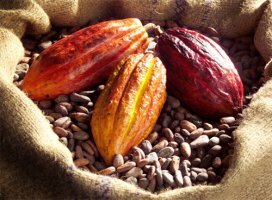 Explore the world of exporting and importing on Export Portal and find Cote D'Ivoire Cocoa Beans Suppliers and Exporters, Cote D'Ivoire Coffee Suppliers, Cote D'Ivoire Wood Suppliers or Cote D'Ivoire Tuna Suppliers. If you plan to import from Cote d’Ivoire, explore our catalog of Ivory Coast products, Ivory Coast Distributors and Manufacturers from the comfort of your home or office. Ivory Coast Coffee Suppliers, Ivory Coast Cocoa Suppliers, Ivory Coast Wood Manufacturers and Exporters are invited to list their products on Export Portal, one of the largest online marketplaces and business to business platforms. Power your international company with the help of exportportal.com to establish mutually profitable buyer-seller relationships. With reference to Ivory Coast's economy, the country's wealth rests primarily on the production and exporting of coffee, cocoa beans, tropical woods and cotton, making up over 40 percents of GDP and 2/3 of exports. Ivory Coast main imports include fuel, rice, machinery and pharmaceutical products. These are the top categories to give some ideas on what to import to Ivory Coast. Cote d’Ivoire’s main import is fuel (25 percent of total imports) followed by rice, machinery and pharmaceuticals. Main import partners are Nigeria, France, United States, China and Netherlands. Export Portal is one of the biggest online commerce companies in the world. Join Export Portal for Free to Buy Various High Quality Products from Global Suppliers or to advertise your business to the global audience. Côte d'Ivoire is a counhtry situated in West Africa, bordered by Guinea, Liberia, Burkina Faso, Mali and Ghana. The country is the largest economy in the West African Economic and Monetary Union. Côte d'Ivoire is a member of the African Union, Economic Community of West African States (ECOWAS), World Trade Organization, World Customs Organization and other international organizations. Customs duties are levied on all imports originating outside the franc zone countries, and are based on the CIF value of goods. All the duties combined can reach the maximum of 35%. Goods imported from the franc zone, especially from France benefit from preferential tariffs. In addition to customs duties, importers will have to pay a 18% value-added tax and a 1% statistical fee. Excise taxes are levied on alcoholic drinks and tobacco. 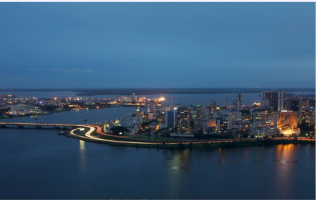 While importing into Cote D'Ivoire, importers will need the following certificates: vaccination record and veterinary health certificates for live animals, phytosanitary certificates for plants and general import permits. Note that all imports to Ivory Coast are subject to the Pre-Shipment Inspection. All labels on consumer goods must be in French, and must clearly indicate the country of origin of the imported goods.